For Li Chuanxi, a city-level official who used to work in a comfortable office in Anhui's capital of Hefei, the shift to an impoverished village seemed a demotion. Li Chuanxi (left) talks to villager Ji Chengsheng, a member of the Communist Party of China, at Sige Village on April 3, 2018. 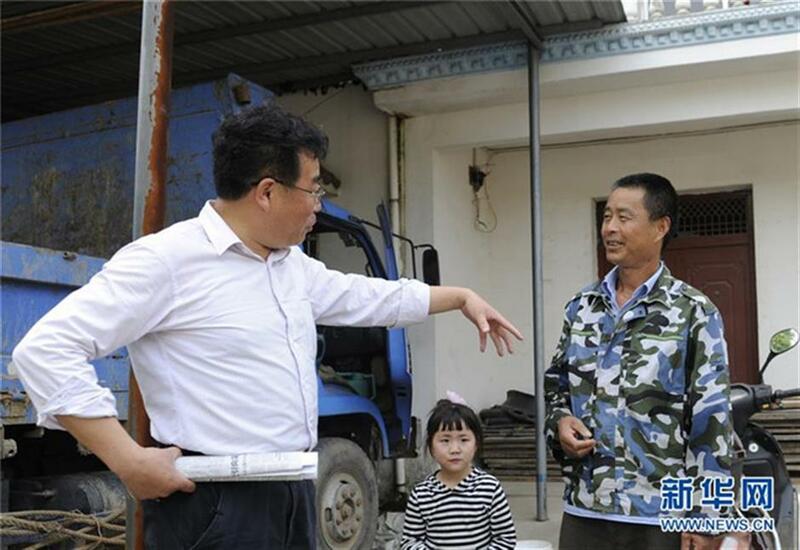 When Li Chuanxi, a then 54-year-old official, first told his wife last year that he volunteered to become a poverty relief worker in a remote rural village, his wife answered casually without taking her eyes off the TV. The next day, learning Li really meant it, she lost her temper. "My friends also said that I must be insane," Li said. "'You are no longer young and you've got all you want,' they told me, 'why go into these troubles?'" Their doubts made sense. For Li, a city-level official who used to work in a comfortable office in the provincial capital city of Hefei in east China's Anhui Province, the shift to an impoverished village seemed a demotion. "I just wanted to figure out myself what exactly was the crux of the matter in China's fight against poverty," Li said. 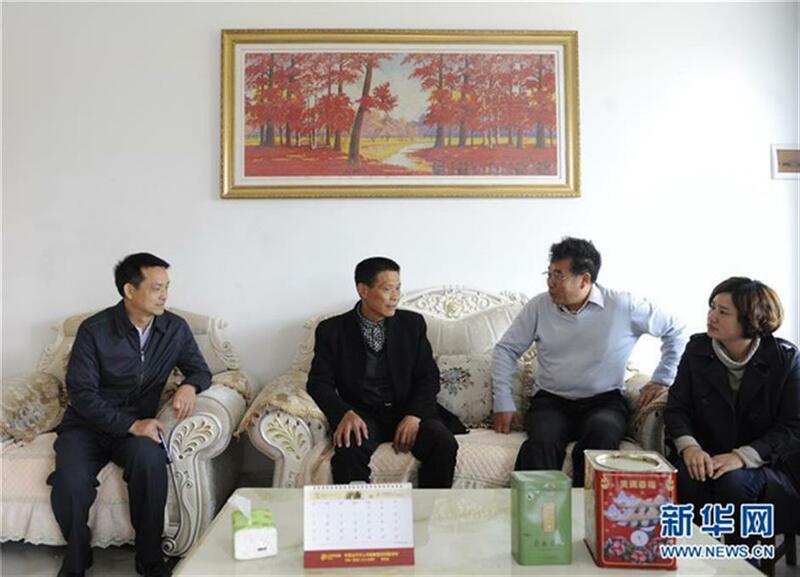 Li Chuanxi (left) visits villager Zhu Chengmeng on April 4, 2018. In April last year, Li led a three-member poverty relief team and arrived at Sige, a mountainous village more than 200 kilometers from Li's home in Hefei. The village is located in Wangjiang County, which is recognized as being in "dire poverty." The first thing they did in the village was to visit every household to find out the specific reasons for their poverty. "During one visit, we saw a villager almost dying of illness and hunger in his home," said Zhou Qing, Li's colleague in the CPC Anhui provincial committee and a member of the poverty relief team. "However, we also found some people who simply wanted to keep the 'poverty' label as they believed that receiving regular government subsidies implied a 'sound connection' with the government," Zhou said. In each case, Li explained the CPC's poverty reduction policies with great patience, according to Zhou. Li used hard work and his previous experience to aid rural development in the village. He encouraged villagers to plant walnuts and pitayas and to participate in the village's photovoltaic power project to increase incomes. Also, while inspecting every corner of the village, Li found a piece of wasteland located across from a main traffic artery. A billboard was later set up on the land, bringing an additional 50,000 yuan (US$7,900) of advertisement revenue annually for the village. 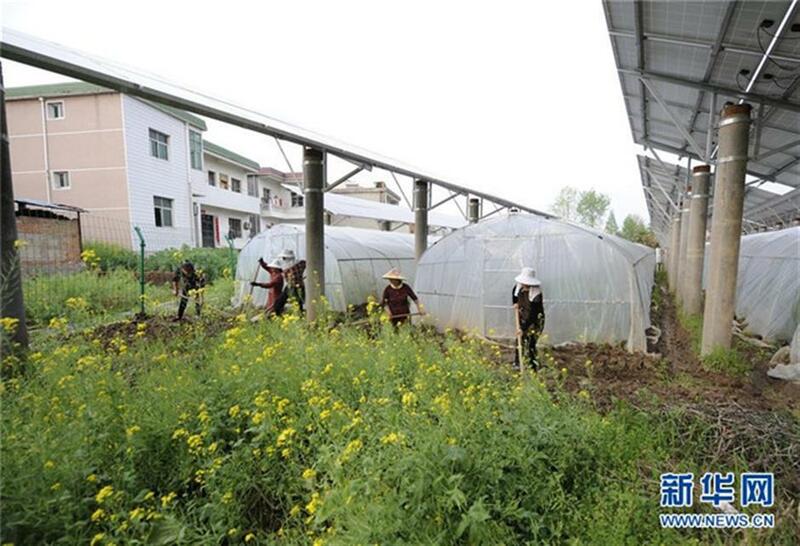 Villagers of Sige work on the photovoltaic power project on April 3, 2018. He called on more than 60 CPC members in the village to take the lead in shaking off poverty and helping others. Two months after Li's arrival, he held a CPC meeting in which he asked each Party member at the village to talk about their original aspiration when they joined the Party. "To my surprise, their answers were very simple and sincere. Some said they joined the Party just out of the will to 'work a little longer, carry a little heavier and contribute a little more' to the village than others," Li said. "I was deeply touched." Thereafter, Li took the opportunities of activities of the village CPC organization to communicate the spirit of the CPC Central Committee's major documents, decisions and policies regarding poverty alleviation and the rural revitalization strategy. He also stressed the importance of Party building and warned the CPC members to observe the Party's code of conduct and oppose corruption. He called on CPC members to put up a small plate on the gates of their homes to indicate their CPC member identity so that the public would know that the CPC members would always be the ones they could turn to when facing problems. Thanks to Li's work, a total of 167 households have been lifted out of poverty last year at Sige and there are only no more than 20 left. "I like Li. He is father-like, and I'm glad to listen to his advices," said 33-year-old villager Zhu Chengmeng. Zhu suffers from a chronic illness, which makes him unable to do heavy labor. In 2010, his father died and his wife underwent a surgery, leaving his family struggling to make ends meet. "Li told me that I was still young. He encouraged me to learn home decoration skills and to do my best," Zhu said. 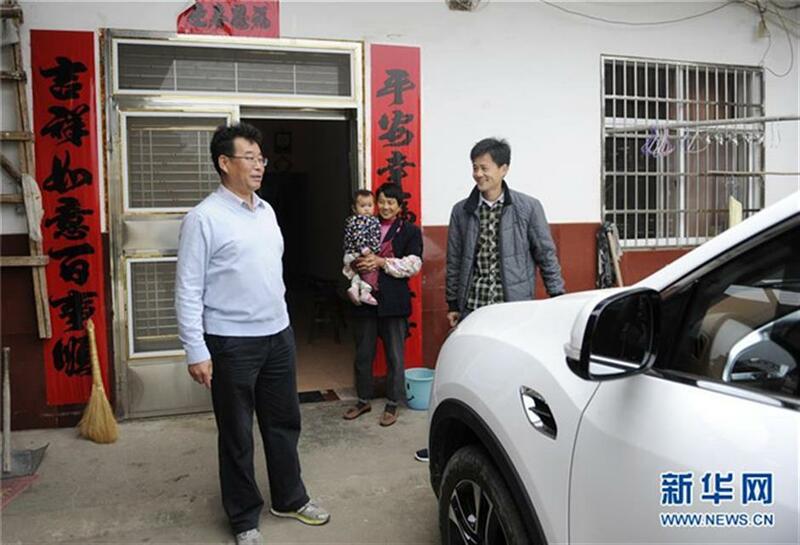 Working as a home renovator now, Zhu made more than 50,000 yuan last year, and, with some loans, he bought a car that his family had been longing for years. China has lifted more than 60 million people out of poverty in the past five years, with the poverty rate dropping from 10.2 percent to less than 4 percent amid its push to complete the building a moderately prosperous society in all respects by 2020. By that time, absolute poverty will be eliminated. For Li, 2020 will be the end of his term as the poverty relief team leader at Sige. "I have made up my mind to stay true to my mission and carry my work through to see the goal being achieved," Li said.